8:00 p.m. / Gates: 6:30 p.m. Lawn seating not available for this performance. On-sale Friday, February 10 at 10 a.m.
No backpacks, bags or purses larger than 8.5" x 11" will be allowed into the venue. For more information on permitted items to a show, please click here. 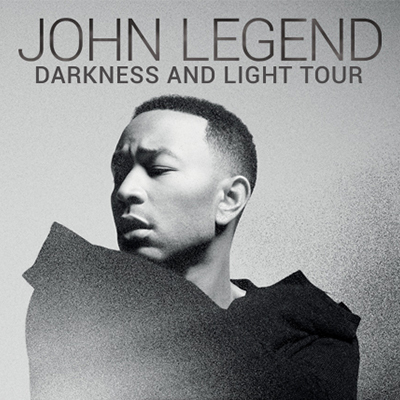 John Legend has been announced as a performer on the Sunday, May 21 telecast of the Billboard Music Awards. Due to this honor, his performance at The Cynthia Woods Mitchell Pavilion scheduled for Sunday, May 21 has been rescheduled for Tuesday May 23 at 8:00 p.m.
Tickets for the original performance will be valid for the new show date. Refunds can be made at the original point of purchase or via Ticketmaster customer service at 1-800-745-3000.